Mid-week, we trundled off to Boston to visit Mark's sister and, while there, stopped to see my niece, Brittany, in Brookline where she works as Production and Traffic Coordinator for Cook's Illustrated Magazine. She gave us a tour the facility, and we were lucky enough to watch a few minutes of the taping of Season 14 of America's Test Kitchen. It was really pretty cool. After she was done for the day, she took us to a really nice tapas restaurant called Barcelona. We sat at the bar and ordered several tapas; Britt sipped a Chardonnay, and I had a wonderful Malbec. Mark had an aperitif that I pointed out to him when I noticed it was made with Tio Pepe Fino. He speaks of first tasting this very fine, dry sherry forty years ago in Sorrento at a hotel bar on a cliff overlooking the starlit Bay of Naples and Tyrrhenian Sea beyond. Perhaps its pale gold hue gave rise to the charming myth that it once was made with gold flakes in the bottle. Naturally, I tried a sip of his apéritif and was immediately smitten. Our bartender - his name might have been Steve - was gracious in giving us some basic ideas for the recipe. As soon as we were back in Tucson, I acquired all the necessary ingredients to make this drink. Aside from its taste, another reason it appealed to me is because it contains bitters. I like bitters, but these particular bitters, well..., I just had to know what they tasted like; they are lavender bitters! We have now played with the recipe several times, and are happy with the current proportions. The first time it was too tart. The second, too thin. The third time, Goldilocks approved - it was just right. This recipe makes enough for four small glasses. I would give the recipe for one drink but, really, will you only have just one? 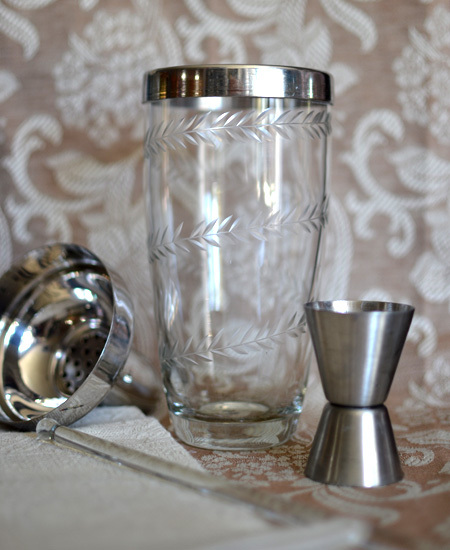 Place all ingredients in a cocktail shaker and shake well. Pour into glasses and serve. sounds very refreshing, must try. 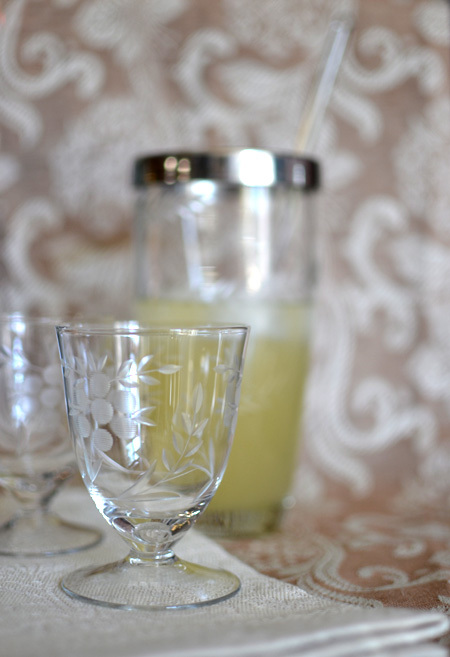 Love the pictures of the beautiful bar ware. Wow. I feel like such a plebe - I had no idea that bitters came in so many variaties. Here I've been content with regular ol' bitters (mainly just for use in my Manhattans), and now a whole new world has been opened to me. Thanks, David! I will definitely try this - sounds like a perfect summer concoction. Is it somewhat similar to a Pisco sour in flavor I wonder? I didn't know, either, Jeremy! I was amazed at all the flavors out there... celery included. Now won't that perk up your Bloody Mary? 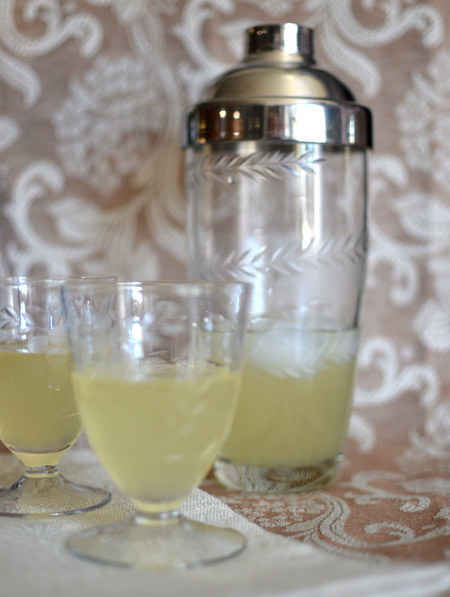 It isn't as sweet as a Pisco sour... it is tart, and refreshing. I had never had anything like it before. Besides angostura bitters, my knowledge is nule, but nowadays you can even make homemade bitters. They add the perfect hint to cocktails, pisco especially. And Sorrento...one of my best memories of a trip, the amalfi coast. To be there sipping this! Now that would be a good day! You know, I should try to make my own bitters at home, Paula! Just imagine the possibilities! I haven't yet been to Sorrento, so I guess that should go up high on the list, eh? David, what absolutely amazing photography, I love the way you styled this post with all your very pretty accessories - just amazing! And your recipe sounds so very intriguing to me, I have never ever heard of lavender bitters in my life! What a truly delightful post! Have a great Sunday! - Noch einen wunderschönen Sonntag und liebe Grüße aus Bonn! Thanks, Andrea and Clothilde! 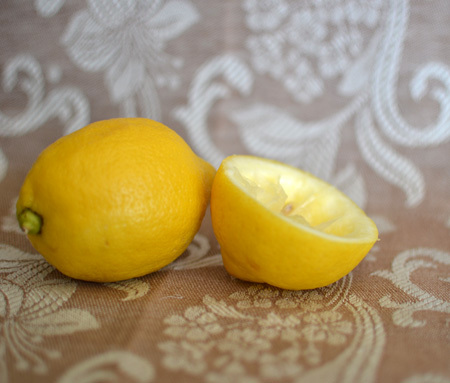 I have to say while this is probably the simplest recipe I have posted, it was the most fun to style and photograph! The linens are a combination of antique British linen, and and a handwoven Italian one a friend just brought us from Venice. 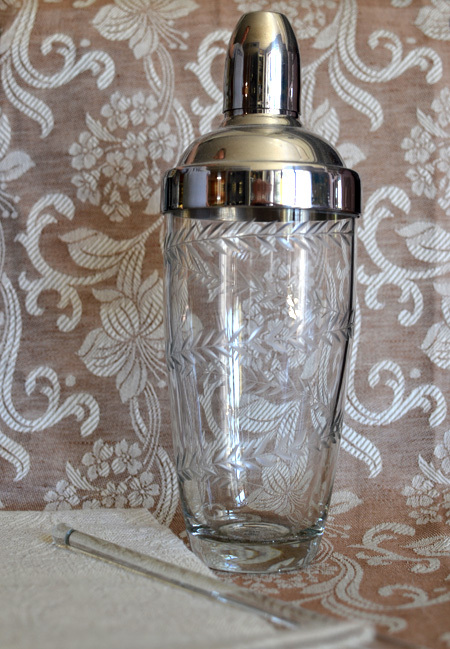 The cocktail shaker is made in Poland, and the little glasses are antiques, also (we think) from England. 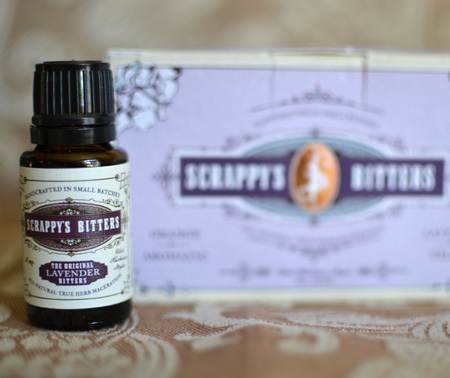 I am now going to delve into making homemade bitters - think of all the possibilities! And, Clothilde, I agree that there is a true art to shaking and pouring a cocktail - I am glad this post brought back memories of your father! Kate - I could make these apéritifs for our next FOB dinner! Sadly Mark doesn't remember the name of the hotel or bar, but if we plopped him down in Sorrento, I bet he could take us there! I'm a big fan of bitters, and any cocktail with lemon is one for me. Once I get out on the west coast I'll have to plan a visit and a tasting! Karin - we will be looking forward to that visit! Good luck with the move! I had only heard of angostura bitters before today, Lavender....wow who knew :) I love your photos and the props are beautiful. Anna - do you believe in fate? It sounds like you should... What other bitters came in your pack? Karen - thanks so much. I am now testing a couple of recipes for homemade bitters... Fennel and marjoram will be my first trials! Te uses now seem endless! What a gorgeous post! My dad was a career Naval Officer and I moved to Naples when I was 9 so your description brought back memories (not of drinking! - just of the sparkling sea.) This sounds like really refreshing for summer and I'm intrigued by the Lavender Bitters. Sounds wonderful!! Could go for one right about now.. Thanks, Susan! It is wonderful to have memories like that, isn't it? Mr. and Mrs. P - it is refreshing and I could use one, too! I hear that the northeast is blasting hot right now - anyone there could use one, too! This really is an elegant post. 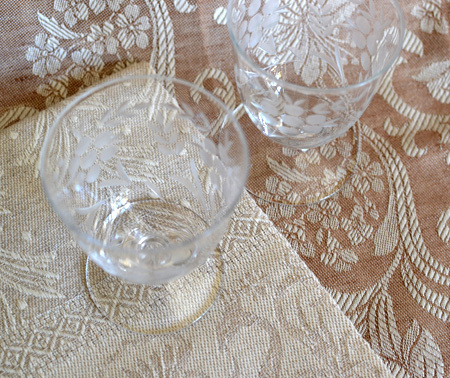 I, like others, love the beautiful glassware and the gorgeous linens. Your photos really bring out their attractiveness. 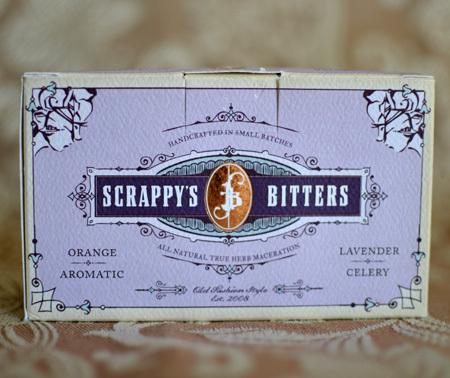 I also love the photos of Scrappy lavender bitters--I must get some of those. Like others, I have angostura bitters (for Old Fashioneds) but don't have and didn't know about lavender bitters! The cocktail sounds terrific. Lovely post! Susan - I can see one of these apéritifs in any number of your little glasses! I missed this recipe as I didn't discover you until a bit later in the summer... I have both Lavender and Orange Scrappy Bitters (plus Grapefruit and Lime) so will have to to try this. 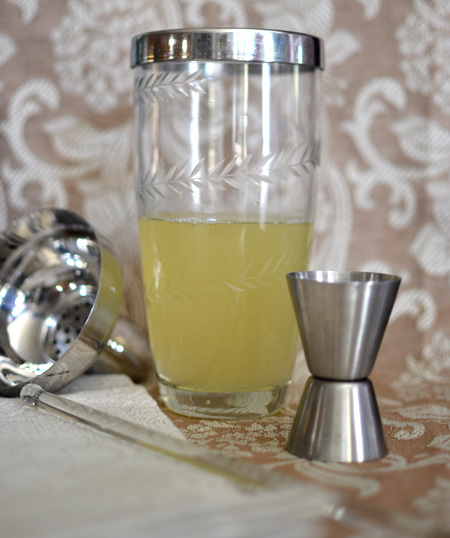 I have been looking for a recipe for the Lavender bitters so I'm very pleased to see this! Thank you for taking the time to leave me a note - I really appreciate hearing from you and welcome any ideas you may have for future posts, too. Happy Cooking! If you would like to receive follow-up comments, simply click the "Subscribe by E-mail" link to the right of the "Publish" and "Preview" buttons. Santa Cruz Chili & Spice Co.